To borrow my colleague Anne Reynold’s sentiments regarding the state of clean energy, in NY these days following Governor Cuomo’s State of the State and Budget Address, I’m not only feeling pretty good, I’m speechless. Thankfully that won’t stop me from writing about it. As part of his progressive agenda, the Governor laid out his Green New Deal for NY and it was not only progressive, but breathtaking. He upped NY’s existing renewable energy standard for electricity to 70% by 2030 (it was 50%), he quadrupled NY’s goal for offshore wind by calling for 9,000 MW of capacity by 2035 and he called for the creation of a Climate Change Council to chart the pathway to economy-wide carbon neutrality. All three are really positive wins for clean energy. On September 20th, NYSERDA released a Draft Request for Proposals soliciting bids for up to 800 MW of offshore wind and requested interested parties to submit comments by October 5th. NYOWA submitted comments concerning two specific aspects of the RFP: the structure and timing of project labor agreements (PLAs) and the consultation process between bidders and state agencies. 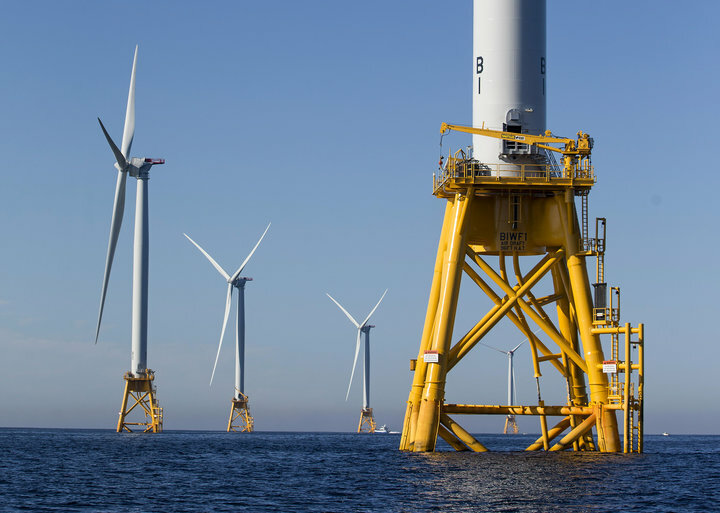 NYSERDA is reviewing the comments it received and anticipates putting a final RFP for a Phase 1 offshore wind procurement out before year’s end. Following up on a technical conference it held on September 25, the PSC published a Notice inviting comments on offshore wind transmission. 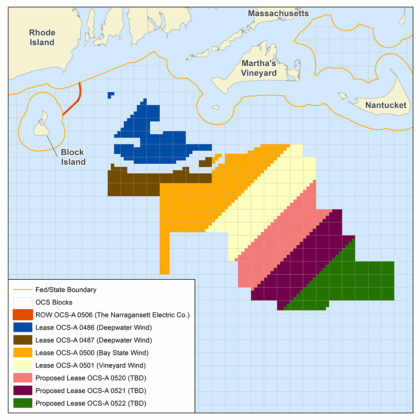 The PSC, in cooperation with the New York Power Authority and NYSERDA has been studying various option for the planning, construction and ownership of electrical transmission systems connecting offshore wind farms to the onshore electrical grid. The PSC’s notice and instruction for submitting comments can be found here. 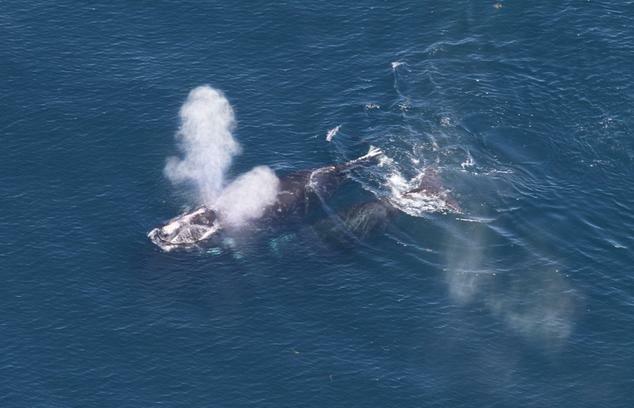 I’d like to call your attention to a new piece that bodes extremely well for the likelihood that offshore wind meets its tremendous potential in the Northeast. It was co-written by our friend and colleague, NYSERDA CEO Alicia Barton, and the President of the New Jersey Board of Public Utilities, Joseph Fiordalisio. You should probably read the full piece (here) as it ran on greentechmedia.com on Monday. Seeing this tweet from Gov. Cuomo last week made me channel my inner Marv Albert and shout YESSSS!!! Associated Press writer Steve Leblanc’s recent article [click here] concerning the Trump Administration’s support for offshore wind is an ocean of good news. Although the Administration’s focus is on “energy dominance,” offshore wind also brings a host of environmental and economic benefits. In New York State alone, it is estimated that up to 5,000 new jobs will be created and up to $6 billion in economic activity will be generated. I moderated a “Developers Roundtable” at the Advanced Energy Center conference yesterday in New York City. The CEOs in attendance had nothing but praise for New York’s Offshore Wind Master Plan and they all agreed that the process New York was going through to put out an offshore wind procurement in 2018 was a good one. Importantly, all agreed that despite all of the review at the federal, state and local level, they would not weaken or try to fast-track the process because they want to reassure the public that they want to get it right. They also agreed that community engagement is an essential ingredient to successful projects. On keeping costs down and ensure that local benefits are maximized, Deepwater Wind CEO Jeffrey Grybowski (@JGrybowski) stressed the importance of creating a pipeline of projects. Governor Cuomo has taken aggressive steps to keep New York on track to meet its clean energy goal of 50% renewable electric generation by 2030. He recently re-affirmed his commitment to offshore wind at a press event with former Vice President Al Gore — a doubling down that we vociferously applauded. Elizabeth Yeampierre is Executive Director of UPROSE an environmental justice community-based organization in Sunset Park. She was the first Latina Chair of the US EPA National Environmental Justice Advisory Council and currently serves on Mayor de Blasio’s Sustainability Advisory Board. UPROSE is a member of the New York Offshore Wind Alliance. A full list of NYOWA members can be found here. Today’s Crain’s includes this terrific piece from Roland Lewis, CEO of the Waterfront Alliance, a NYC-based coalition of more than 1,000 organizations dedicated to making the New York and New Jersey harbor a shared, resilient, and accessible resource for all. You can find and follow them on Twitter at @OurWaterfront. 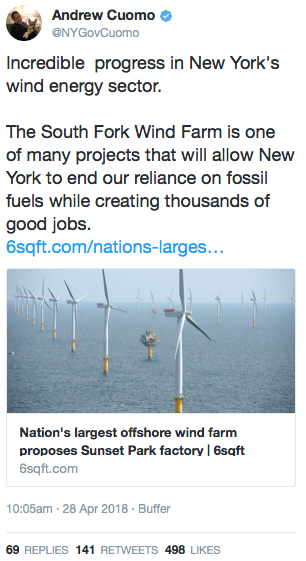 Mr. Lewis makes great points, particularly about offshore wind’s massive job potential and how port development is so important if New York is going to reap offshore wind’s full economic as well as environmental and health benefits. He’s particularly energized about the 72-acre South Brooklyn Marine Terminal (SBMT), at Brooklyn’s Sunset Park waterfront. 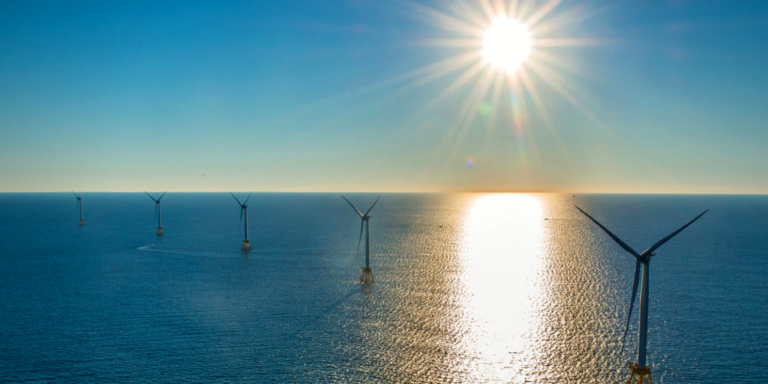 NEW YORK, NY – The New York Offshore Wind Alliance today applauded Governor Cuomo’s “doubling down” on offshore wind as a way to provide cleaner energy and as many as 5,000 new jobs for New Yorkers. Some of you may have seen the recent missive in the New York Post from conservative writer and punditRobert Bryce regarding Gov. Cuomo’s ambitious and smart plans for offshore wind in New York. (Read NYOWA’s statement on that here, but finish reading this blog post first! ).